Exchange Online Protection (EOP) Reports show you how much spam and malware are being detected. It provides the high-level view of all the spam and malware mails flow in your organization. Mail protection reports helps administrator to analyze the incoming spam and malware, and define mail flow rules and transport rules according to that. It shows all the essential information to form the mail filters like sender IP, mail subject, send email-id, message size, etc. Following are the mail protection reports offered by AdminDroid Exchange Online Reporter. This free tool allows you to schedule one or more reports to run automatically at configured time and delivered straight to your preferred mail-ids. You can export the report results to CSV, Excel (XLS/ XLSX), HTML or PDF. This report provides the list of all the spam mails received in your organization. This report includes information such as spam sender email id, spam receiver email id, message subject, spam received time, message delivery status, message size, sender IP etc. This report helps you to block unwanted spam emails coming to your organization mailboxes by defining spam filters. This report shows you the list of malware was sent to your organization mailboxes. Though the malware content is blocked by Office 365 mail protection service, these list of emails helps you to analyze about the malware sender and the intention of it. This report provides the list of spam emails sent from your organization. It helps you to analyze why certain outgoing mail was treated as spam. 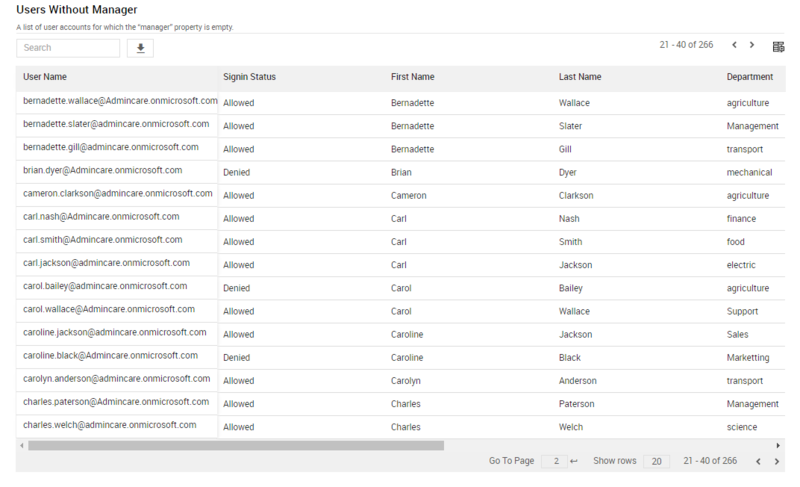 Office 365 Mail protection scans all the outgoing mails and does the action as per the defined configuration. This report shows you the list of malware was being tried to send from your organization mail-ids. This report shows you all the incoming and outgoing mails in your organization. These report further helps you to analyze who is forwarding official emails to their personal account or any other external email ids. This report helps you to fix the information leakage and meet your organization's compliance. Further, the advance filter helps you to limit the results to either internal emails received or external email received.